Where a single plate is required, or several labels are needed where the each requires variable text, then Machine Engraving is recommended. This process does not require artwork and is a very quick and economical process. 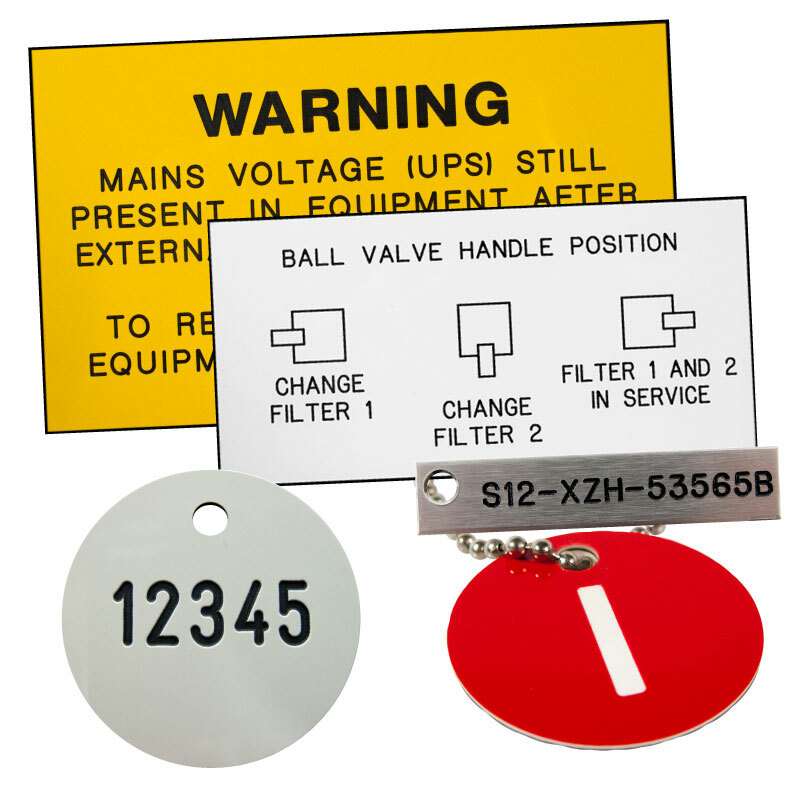 It can often be combined with other processes, such as Anodised Aluminium or Chemical Etched Brass or Stainless Steel where the fixed information is printed onto the plate, and then additional variable information is added later by machine engraving. Self Adhesive Coatings, Fixing Holes etc. Pressure sensitive adhesives can be specified for coating onto the reverse side of your engraved nameplates. Fixing holes, to enable the finished plate to be screwed or riveted to your product can also be provided.